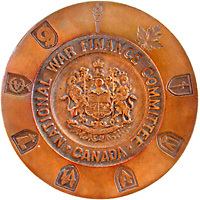 Presented in recognition of service to the National War Finance Committee. This plaque is struck from metal obtained from Canadian naval, army and air equipment in use 1939-1945. I am indebted to Ger Versluis for the menu. The code for the carousel used to display images on the home page is another script generously made available by Ger Versluis. This feature, which I sometimes use on the home page to highlight recent additions to the site, is based on code from Eric A. Meyer, and discussed at pure css popups. The Kootenay Internet Communications Society hosts this site as a community service. This help is greatly appreciated and I hope that the content is sufficient justification for this support. Janice Arndt has given generously from her knowledge of local birds, particularly in the nature calendar. Gary Davidson of Nakusp has been a substantial help to me in identifying many birds in my photographs. I am indebted to him for eliminating a number of my errors in the bird section. Equally helpful with birds and mammals has been Rick Howie of Kamloops. Robbin Thorp has been invaluable in identifying bees, and Rob Cannings has helped with all manner of other insects. Ron Welwood has made frequent helpful suggestions on topics ranging from history to syntax. He is this site’s primary critic; if material passes muster with Ron, it is suitable for posting. Greg Nesteroff has provided material about the history of the region. Alan Ramsden and Shawn Lamb have regularly answered all manner of obscure historical questions. Ed Manning, Arlene Anderson, Ken Anderson, Nicole Tremblay, Catherine Aitken, Angus Graeme, Greg Malpass, Lorna Surina, and Ron Welwood have graciously allowed me to use some of their images. In addition, Doug Thorburn has not only taken and supplied many wildlife shots from his hikes, but has presented me with many photographic opportunities.